Our rigging equipment includes hydraulic gantries up to 20 tons and 16 feet tall as well as jacks and dollies to suit a variety of rigging needs. VA CRANE RENTAL excels at finding creative solutions to heavy lift & rigging challenges. All of our projects, however conventional, start with a comprehensive project analysis and pre-planning report. Every element of the project is considered. If necessary, we undertake feasibility studies and even design and fabricate custom equipment—whatever it takes to achieve the project goals. 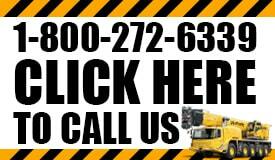 At VA CRANE RENTAL, we engineer for safety, efficiency, practicality and simplicity. The result is incident and injury-free project execution while hitting cost targets, even on time critical/short-schedule projects. We’ve undertaken and executed in some of the most dynamic projects and construction challenges the world has to offer.